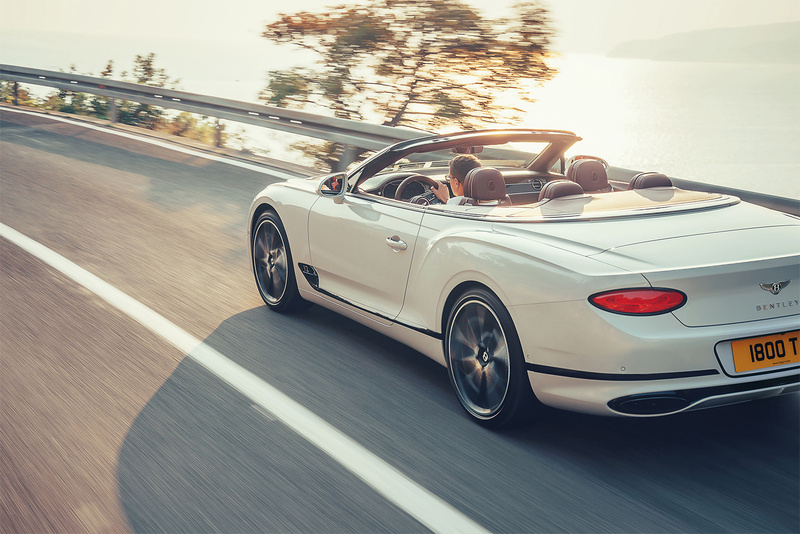 Bentley has unveiled its all-new, third generation Continental GT Convertible. 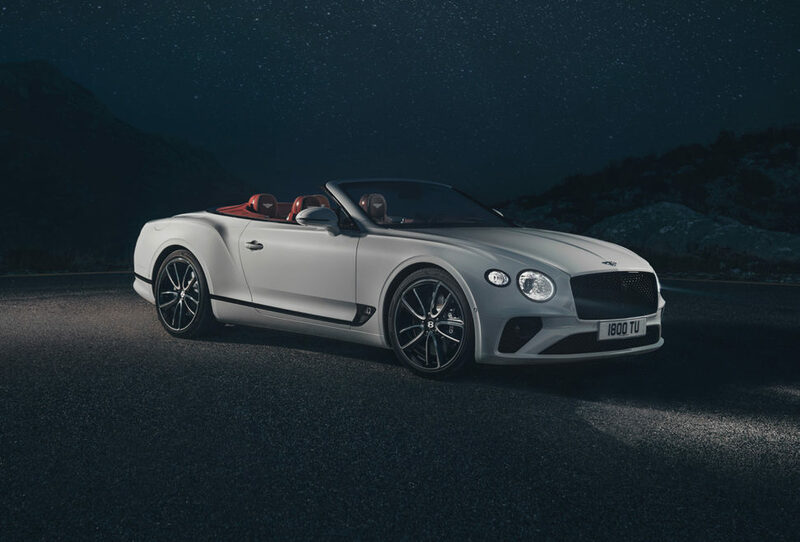 It is capable of rocketing from zero to one-hundred km/h in just 3.8 seconds thanks to its 626 hp W12 engine, eight-speed dual clutch transmission, all-wheel drive and a 20% reduction in structural weight. 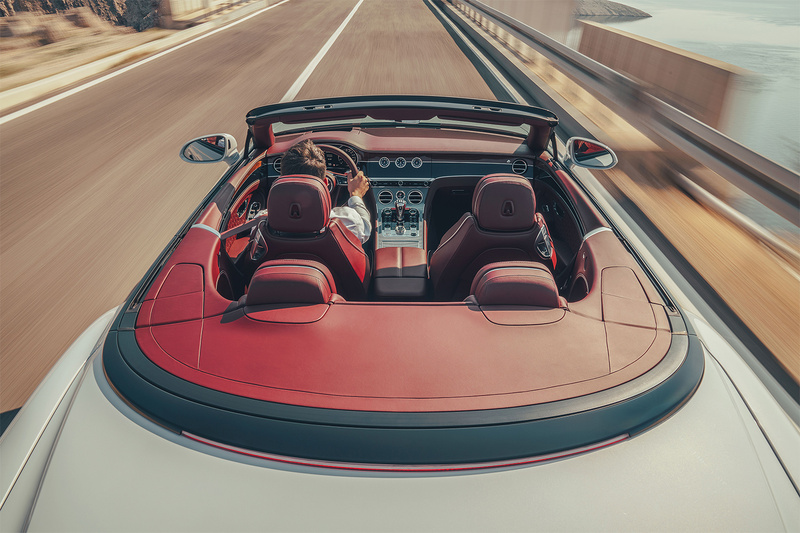 The convertible top can be raised or lowered in 19 seconds at speeds of up to 50 km/h. 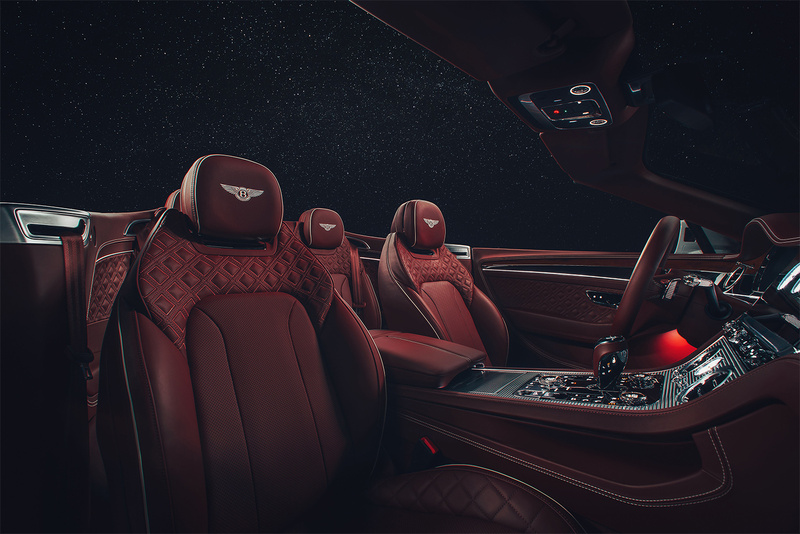 Newly designed neck-warmers in the heated seats, along with heated steering wheel and, new for 2019, heated armrests, will keep driver and passenger warm in fall and spring motoring. 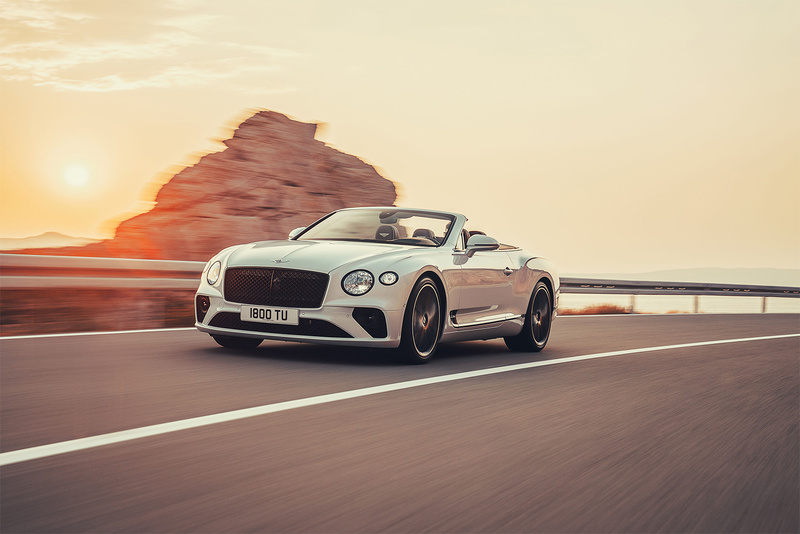 Available at launch is Bentley’s 6.0-litre, W12 TSI engine. Designed, developed and hand built in Crewe, England, it is the most advanced 12-cylinder engine in the world and produces 626 hp and 664 lb-ft of torque. 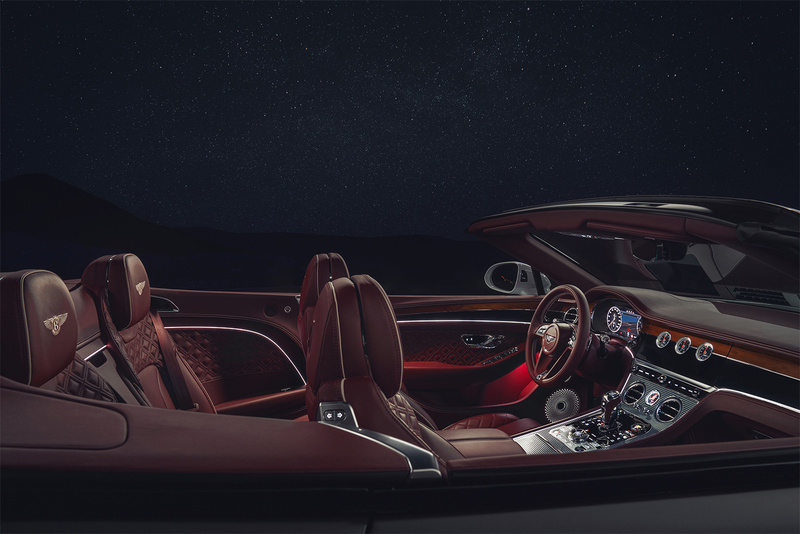 Mated to a dual-clutch 8 speed transmission, acceleration from zero to 60 mph in 3.7 seconds. Top speed is 333 km/h or 207 mph. The new powertrain uses the latest engine management technology with 300 million software calculations per second. 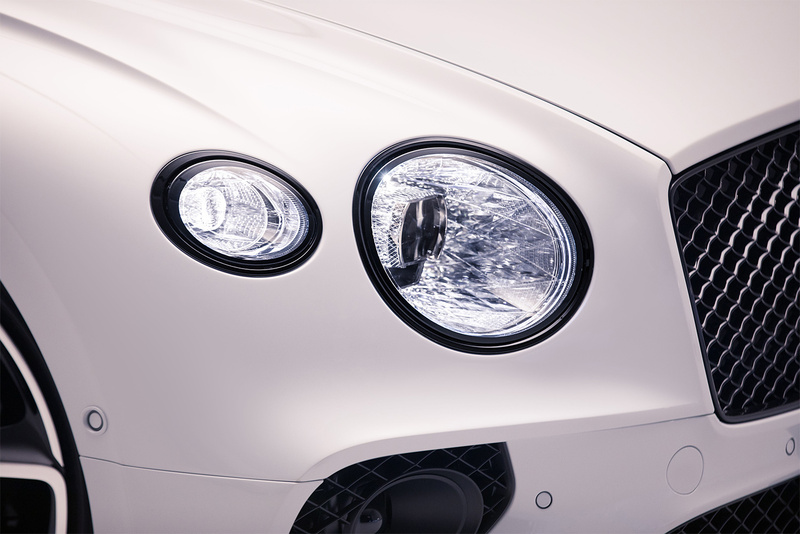 The new engine utilises Start-Stop technology and, in Bentley’s advanced application, coasting is also made possible. 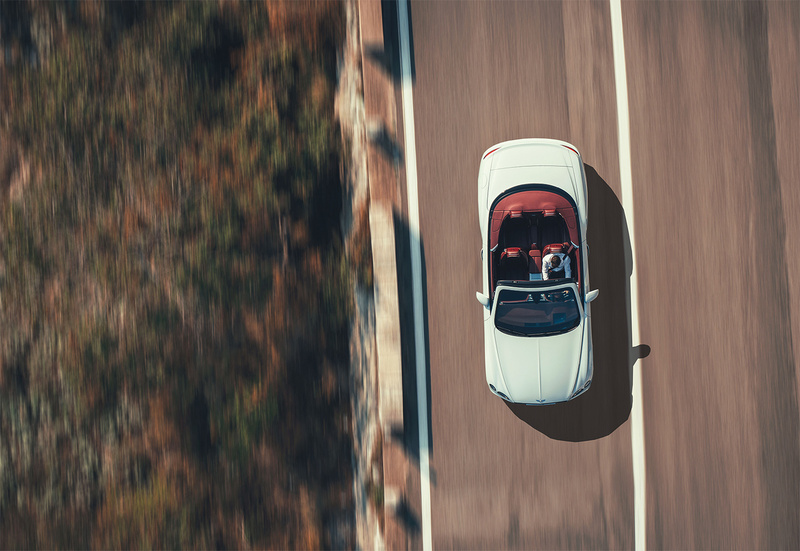 The engine rests not only when the vehicle is stationary but also at near-to-stop speeds. 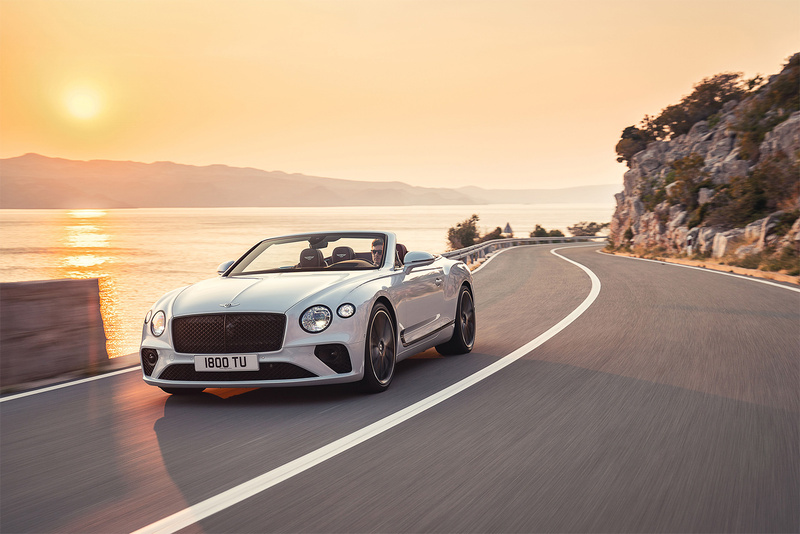 Bentley’s Variable Displacement system shuts down half of the engine under defined conditions. 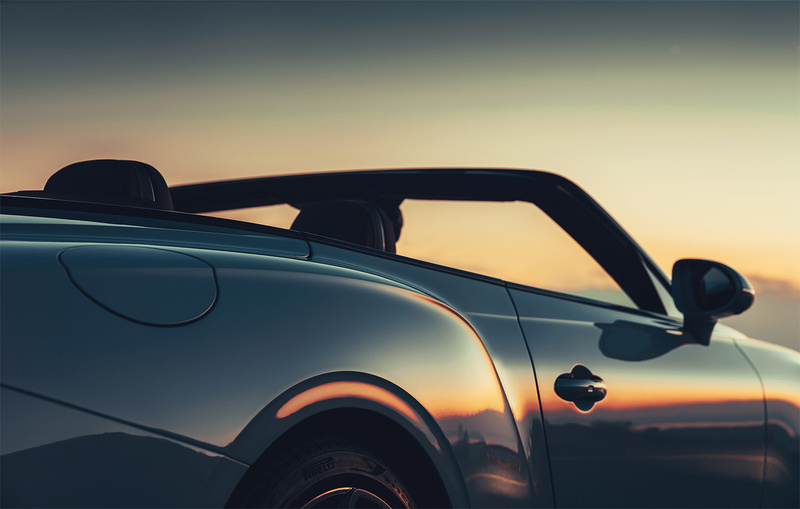 Intake and exhaust valves, fuel injection and ignition are all shut down on defined cylinders, with the engine running as a six-cylinder for improved efficiency. 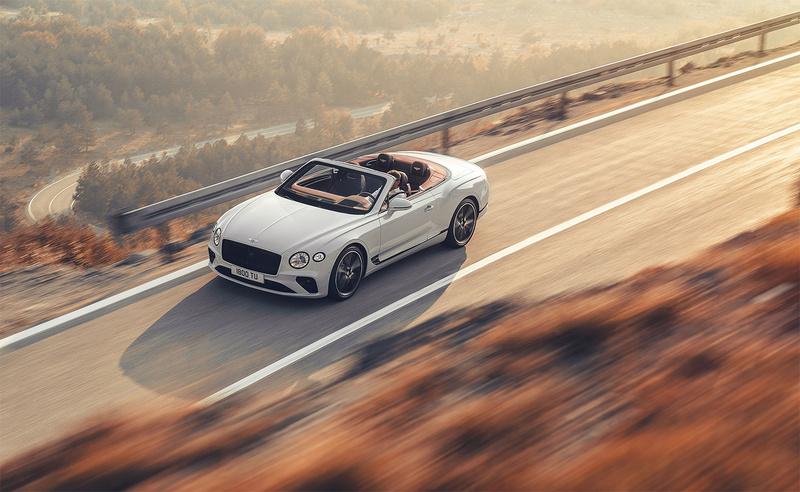 The Convertible’s profile is longer and lower than the prior generation due to the positioning of the front wheels, which are 135 mm further forward. This has allowed the hood to be extended and the nose to be lowered. 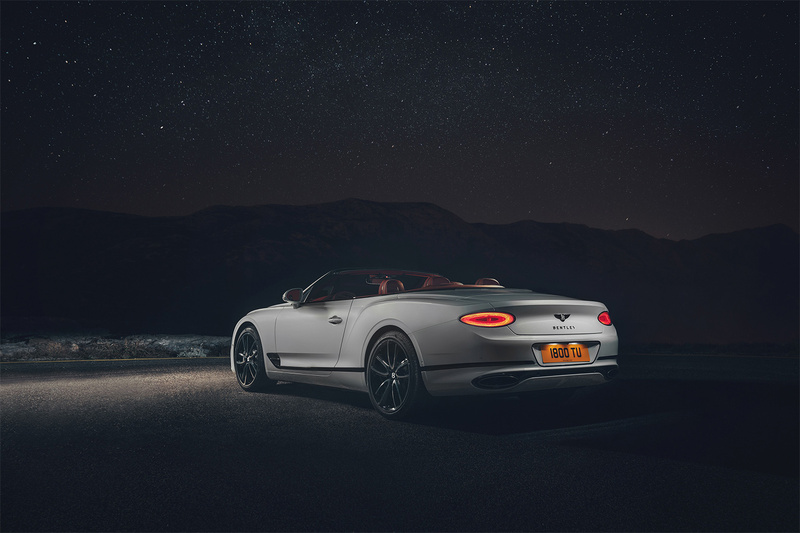 The key signature power lines of its coupe sibling still dominate, flowing back towards the muscular rear haunches. 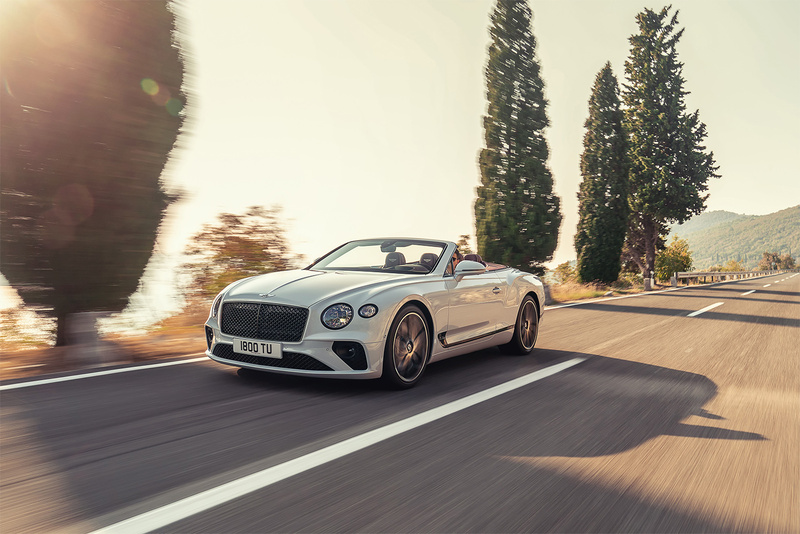 The Continental GT Convertible has 21” Five Tri-Spoke wheels as standard, with the option of 10-Spoke and 22” Five Open-Spoke wheels. These three wheel designs are offered in a selection of ten polished and painted finishes. 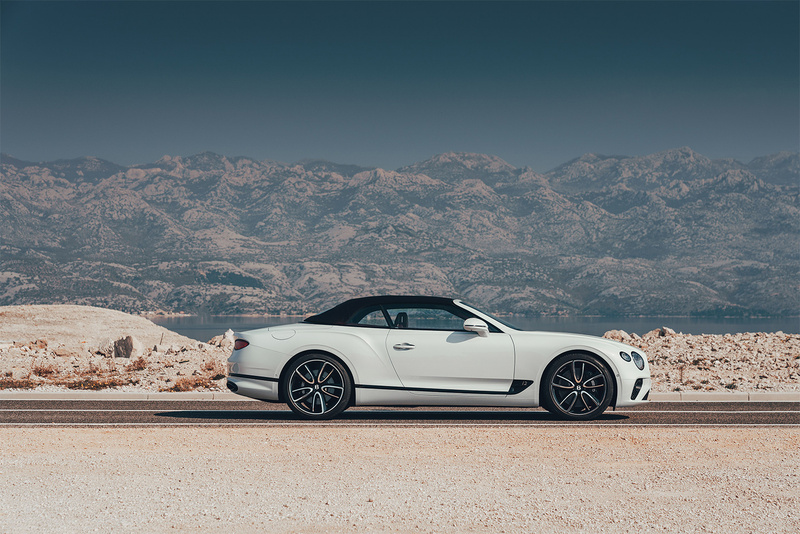 The third generation of Continental GT Convertible features Bentley Dynamic Ride, an advanced 48-volt roll control system for unrivalled car control. 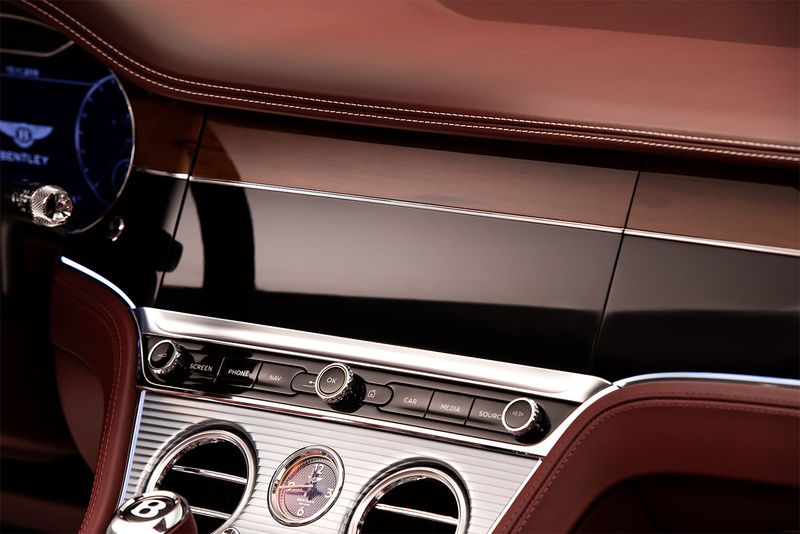 The system controls and adjusts the electronic actuators on the anti-roll bar of each axle and so improves handling and ride comfort, as well as making the car feel lighter and more precise. 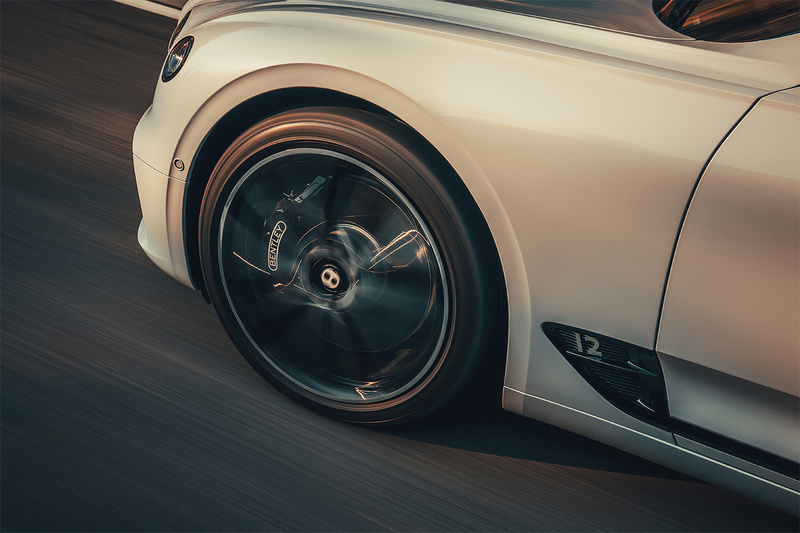 This system instantly counteracts lateral rolling forces when cornering and ensures maximum tire-to-road contact to deliver class-leading ride comfort and exceptional handling. 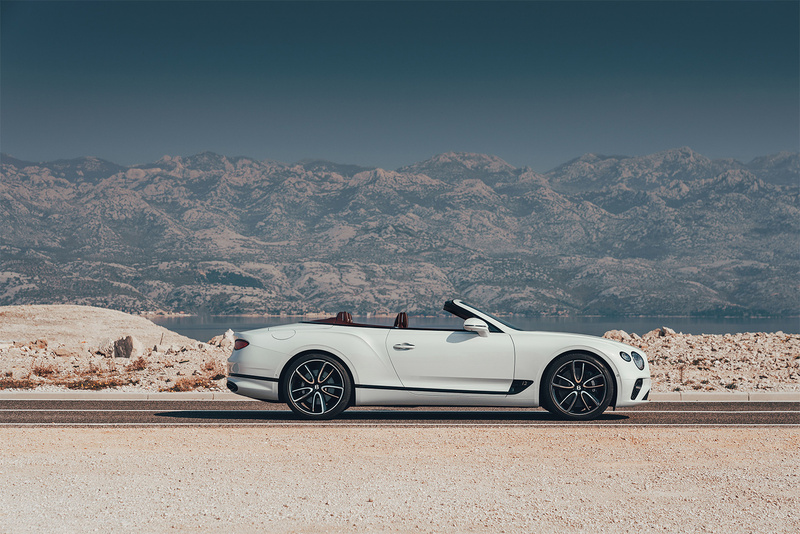 Bentley has worked with Pirelli to create bespoke tires for the new Continental GT Convertible from the beginning of the design phase. The car runs exclusively on Pirelli P Zero tires, using a different tire size between front and rear axles for the first time, to enhance dynamic ability. 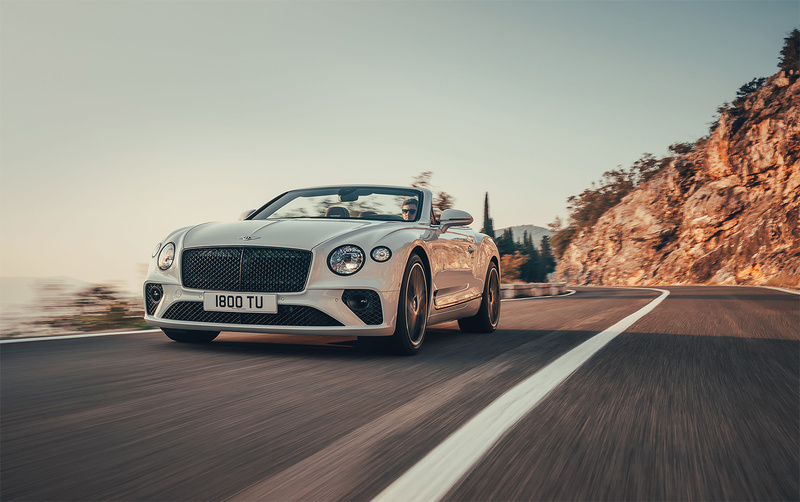 During the development process, Pirelli’s engineers sat alongside their counterparts from Bentley, driving and refining the car-tire package until the perfect balance was reached between performance and comfort. The latest material compounds help the tire respond more directly to driver inputs, ensuring a dynamic experience that is balanced and communicative. 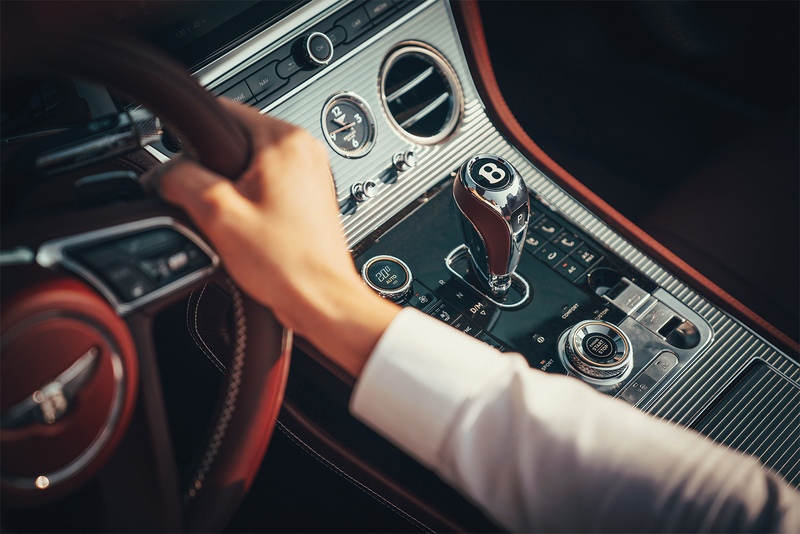 When the engine start button is pressed, the veneer in the middle of the dashboard glides forward and rotates to reveal Bentley’s largest-ever touchscreen, a 12.3” high-definition-quality digital MMI display, designed by Bentley with a customer-configurable home screen with three windows able to display the driver’s preferred functions, for example, navigation, media and telephone. The user interface is designed to be similar to a modern mobile phone and menus are structured to be instantly intuitive. The third side on the Bentley Rotating Display reveals three analogue dials displaying outside temperature, a compass and chronometer. 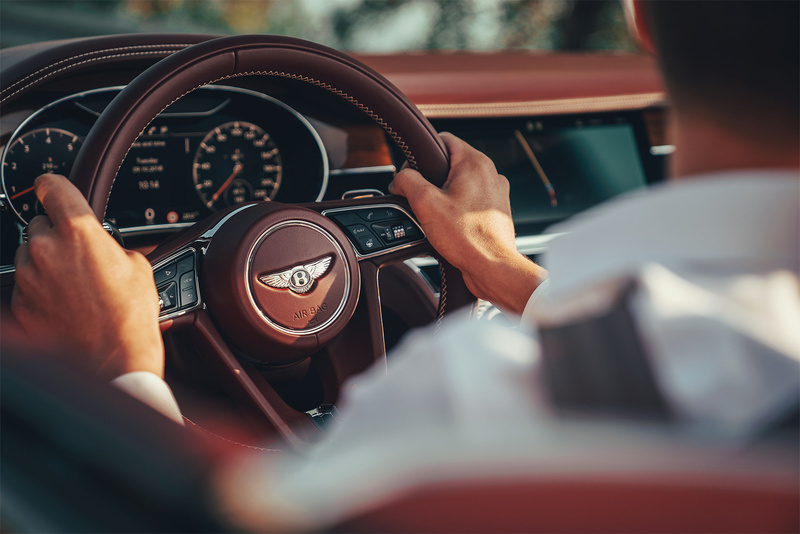 Such an innovative use of traditional elements underscores Bentley’s unique commitment to the past and the future, and offers customers the choice of digital or analogue display or clean, calm cabin.